My daughter’s hair is long and falls in dark waves to the middle of her back. She wears it down most of the time, though she puts it in a ponytail for soccer or when it’s hot outside. She washes and conditions and brushes her hair and takes care of it in a way that I never imagined she would when she was 5 years old and would scream every time I tried to brush it. Though we’ve come a long way in terms of how we see girls and women, gender stereotypes still exist and, for young girls in particular, long hair and pastels are part of the uniform. At a young age, my daughter learned that people often judge others based on appearance and that the pressure to conform is great. 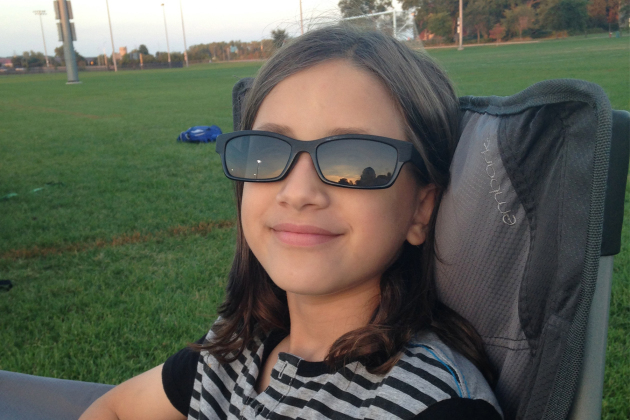 Last summer, as she prepared to enter fourth grade, she told us that she was going to grow out her hair to make the transition to the upper-elementary level of her school easier. She was right -- it is easier to look like everyone else and I understood her desire to blend in. The way she dresses did not change with the length of her hair, so she is still a mix of different and same but her long hair seems to have granted her entrance into the not-so-secret society of girlhood. This week, she is at rock and roll camp run by She Rock She Rock, an organization with a mission to empower girls through music. Her first year, she was 8 and seemed so small compared to the electric guitar she carried in her hand. She’d been playing guitar for several months, so she wasn’t nervous about the music but she was nervous about meeting new people. She wondered if she would fit in with the other girls. But rock camp is a magical place where there are girls with short hair and long hair and in all the colors of the rainbow. There are skirts and ripped jeans, bright colors and black and everyone looks different in the best possible way. This is her third year at camp and when I dropped her off at the beginning of the week, she barely looked back at me. She moved into this stream of girls with ease because at rock camp, you can be yourself. At rock camp, there is more than one way to be a girl. For more information about She Rock She Rock visit their website or attend the showcase Friday night to see girls rock. Lessons from my children: What is the definition of a perfect family?